Directions – F train to 2nd Avenue, the bar is on the south side of Houston Street directly above the platforms midway between the exits. In the same ownership as Alewife and The Jeffrey. Can be dark, busy and noisy in the evenings, but a great selection of beer and good food. 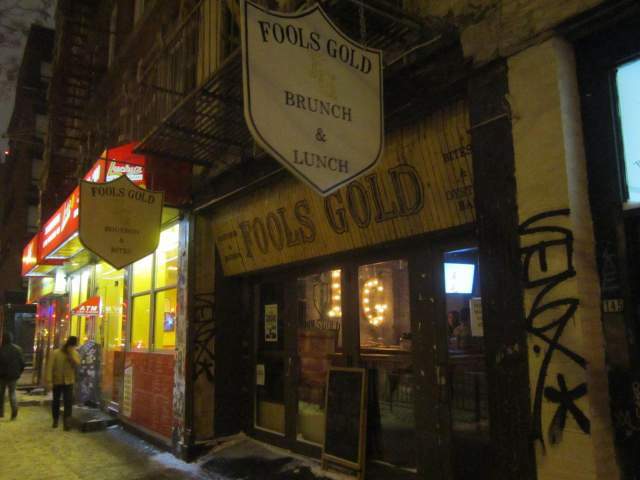 As with The Jeffrey, we've promoted Fools Gold to a top pick to reflect the stellar beer choice on our April 2017 visits. This included lots of Hill Farmstead beers and an amazing Other Half tap takeover which offered about 30 of their beers. Really excellent place.